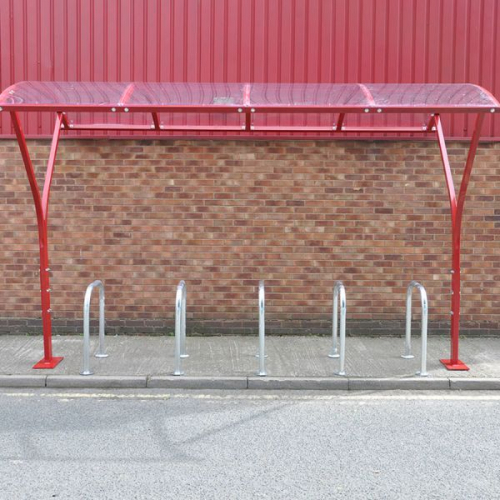 The Dalton cycle shelter is a simple shelter for protecting bikes from all weather conditions, and is ideal for schools, colleges and workplaces. 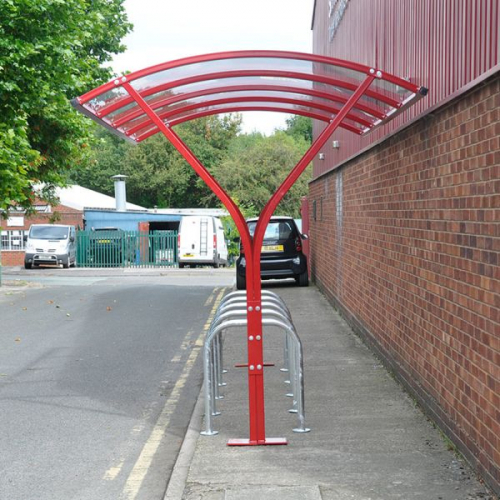 This shelter compliments our Sheffield Bike Racks well. 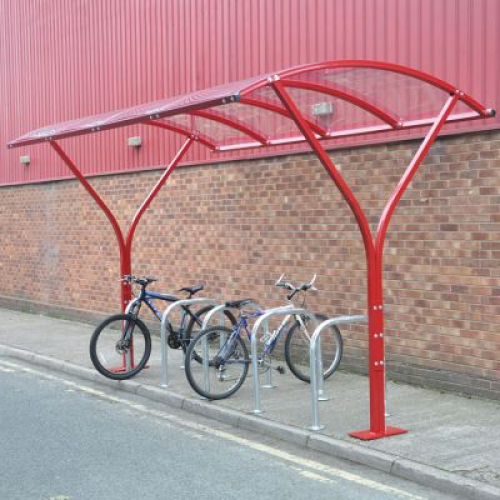 Zinc coated with a powder coated finish in a range of colours. Dimensions: 2530 H x 2540 D mm (width is optional).